In the current social media ‘fake news’ age the truth is ever harder to distinguish, and that’s why I think my parodymeter is a useful tool. I bet Silicon Valley wish they’d thought of it first; which scores very highly on the parodymeter. Elon Musk was too busy building electric cars and space rockets, and missed out on the techno invention of the century; which scores even higher on the parodymeter!! Funnily enough, a couple of my main topics from last year were linked in December, when a U.F.O. with a bright massive glowing tail was seen by many residents of L.A. and then explained as a rocket launch by Elon Musk’s SpaceX company. I think that’s a credible account of what was seen, although I’d have thought there would have been more reporting of it prior to the event, both so people could watch, and to warn those driving etc; as there were reported to have been crashes caused by distracted drivers. Although my third of a trilogy book had an X-Files theme it was more about comedy wordplay than spaceships and aliens. I don’t sensationalise U.F.O.s, and treat them with my PhD research trained scrutiny. I usually put strange shapes on other planets down to geology, and know there’s a lot of space junk out there now, but when astronauts and pilots report U.F.O.s I take notice. 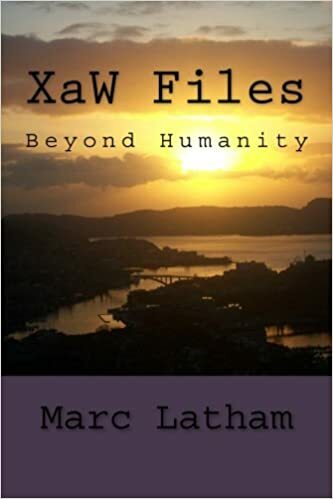 I had largely lost interest in U.F.O.s when I wrote XaW Files, but the new Quest series this year with all the latest footage complemented by historic cases has reignited it. Of course, people with the Discovery channel might have been seeing this much more, with many series such as Ancient Aliens on the channel. Some U.F.O. theorists claim NASA hasn’t returned to the moon because there were alien spaceships there, supported by some astronaut testimony, such as Apollo 11’s Neil Armstrong and Buzz Aldrin and Apollo 14’s Edgar Mitchell. I guess like with a lot of theories, time will answer that. If we do go back as apparently planned, and provide credible film footage, then it will disprove that theory. I am most interested in U.F.O.s that travel at speeds and with movements beyond what humanity has currently revealed; travelling great sky distances in an instant, seeming to disappear and without leaving signs of movement; with a long history of such sightings going back to at least the 1940s, and some recently filmed. Footage released by the Peruvian air force and Chilean navy were two of the most recent encounters with crafts displaying extraordinary manoeuvrability. Their governments apparently have a more open policy about U.F.O.s than the U.K. and U.S.A. I didn’t know the area I grew up in is a U.F.O. hotspot until seeing some books on Amazon about it a couple of years ago. I once saw a light in the sky on the western horizon, which looked like a star until moving fast, travelling north with erratic disappearing and appearing movements around that time. 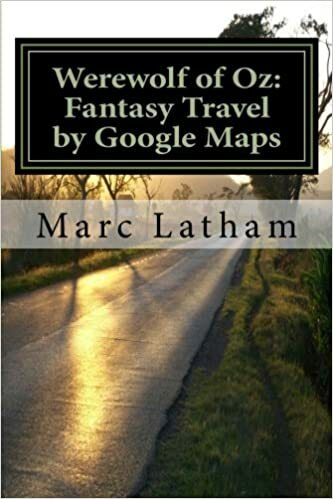 That was the height of my UFO experience, and the closest I’ve ever been; although I have had bouts of sleep paralysis, which some think explain many close encounters. If there are U.F.O.s they seem to be quite friendly, as they are quite obviously more advanced if they can ‘study’ us without us knowing much about them; although there have been some reports of life being harmed. We of course harm other life on Earth, but the majority of us try to preserve what we can. Maybe they are like us with other animals on Earth, studying and preserving us as we do with other life; and if there have been alien crashes, such as reported in Roswell in 1947, then it’s like one of our planes crashing into the sea, or a wildlife park. Maybe we to them are like fish seeing scuba divers or submarines passing their locality in the ocean, or undiscovered tribes seeing our planes flying over them. For the most part we can just watch and wonder, but sometimes their higher technology will fail them, and they’ll crash into our world. That’s just a little theory though, and I keep an open mind. I could write that I took my Nazca Lines photos from a UFO in 1994, but in reality it was just from the tower there, and I didn’t even take a flight over them. I was very interested though, but put them down to human construction rather than alien landing sites, as claimed in a best-selling book by von Daniken.